Canadian international Marcel De Jong of Pacific FC. (Canada Soccer). What would a CanMNT made out of CPL players look like? John Herdman has named his squad for the Canadian men’s national team ahead of a crucial CONCACAF Nations League Qualifying tilt against French Guiana (B.C. Place on March 24, 3:00 p.m. PT, 6:00 p.m. ET) and, as expected, there are plenty of familiar faces in the team. Herdman’s roster selections have afforded opportunities to many young and unproven talents, who have emerged into the national team fold as a result of their showings at the club level, which got the staff at CanPL.ca thinking – if Herdman were to select a team solely out of the Canadian Premier League, what might his starting XI look like? The most experienced top-level goalkeeper in the CPL (so far), Roberts brings a pair of safe hands for the national team, having played for Toronto FC and Los Angeles FC in MLS. He still has plenty of untapped potential to fulfil for both club and country, too. The 24-year-old goalkeeper is no stranger to the setup, either, having made a sole appearance for the senior national team in 2015. Vastly experienced and versatile, Ledgerwood has been a Canadian men’s national team staple for the better part of the last decade, having made 50 caps for the side. As such, he is among the players most familiar with international duty and would easily slot into a number of positions, including right-back, where he has previously been deputised. Ledgerwood may be 34, but don’t let age fool you – he remains as spritely as ever. Standing at 6-foot-3, Thomas brings all the physicality and aerial ability you’d like in a centre-back on both the defensive and offensive front. His stature alone sets him apart from other central defenders in the league but his composure and comfortability on the ball is an equally-desirable set of traits. His time with the Canadian Under-23 program means he brings international experience, too. Skylar Thomas of Valour FC enjoying pre-season practice. Partnering Thomas in the back four is Gasparotto, a 6-foot-2 centre-back who has spent the last seven years playing in Scotland. The lumbering York9 central defender is technically composed and brings a valuable left-foot to the backline, making him another suitable option. He has also previously been called up to the Canadian national team. 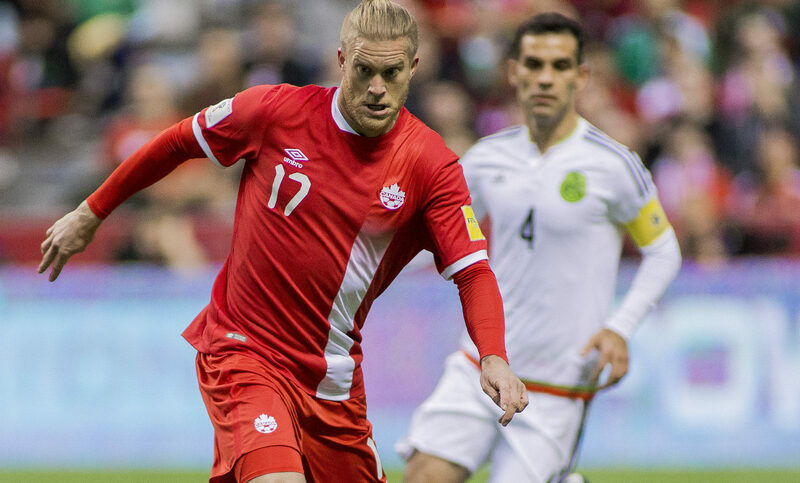 Another obvious selection, and a vastly experienced Canadian international at that, Marcel de Jong is the one player most likely to make the Canada squad, with his most recent call-up coming in 2018. De Jong is capable of playing in midfield or out wide in the backline, and slots into his natural left-back position, as such. With 56 national team appearances to his name, he’ll have no trouble fitting into Herdman’s system, either. 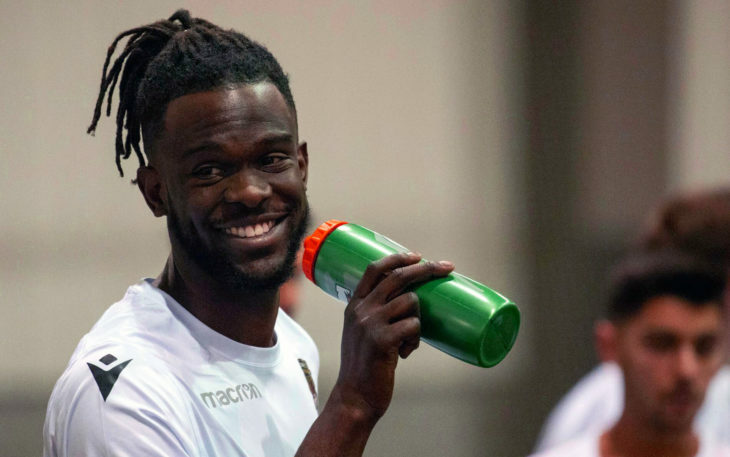 Bringing valuable experience in MLS coupled with hunger and versatility, Awuah stands out in the crowd of defensive midfield options in the CPL thus far. He can draw on his experiences being coached by one of the finest players in this position, too, having played under Patrick Vieira during his time at New York City FC. It’s not a glamorous position but one that Awuah can certainly be deputised in. A perfect balance of attacking and link-up play means Kyle Bekker can slot into this in-between midfield role in our impromptu 4-3-3 or 4-2-3-1 formation, and he’ll turn, as always, to his passing abilities and vision as key factors to succeeding in this role. Bekker brings a solid USL season to the team, where he racked up assists using exactly those traits. He could play further up, and there are questions about the physical demands of the position, but Bekker has plenty of experience to tap into here. The point man in our midfield, Porter is a fine finisher and an excellent breaker of defensive lines, leading to a slightly higher position on the field than Bekker. He’ll make the most of this defacto No. 10 role by leaning on his versatility along the front line, tapping into an attacking instinct that has seen him also play as striker in the past. Speed and hunger defines this exciting winger-forward, and Edwini-Bonsu has just under a dozen national team caps to show for those exact qualities. He’s a little on the older side these days, but the 28-year-old hasn’t lost his spritely step and offers the sort of fullback tormenting skill-set needed to thrive out wide. He’s also got an eye for goal – he’s made no secret of his desire to claim the CPL’s inaugural golden boot prize – bringing an outlet to the front line on the attacking foot. Young but proven, Ben Fisk has but a pair of national team caps to his name, but don’t let that get in the way of a player who is otherwise more than capable of stepping up on the occasion. Fisk is a winger through and through, and won’t need to adjust to a new position as such. His familiarity coupled with experiences in Spain and Northern Ireland suggest he’s more about setting up a cross instead of burning his man with pace, providing much-needed utility up top. Finally, at forward, Pacific FC striker Marcus Haber rounds out our list, and you don’t need to look far to understand why – with 27 national team caps and three international goals to his name, Haber is well-aware of the national team setup and has been something of a staple off the bench throughout the years. He made six appearances in 2016, which was the last time he was called up, but won’t need to take too much time to adjust to his familiar surroundings, if given the chance.